A group of medical specialists determined that Arturo the bear, the only polar bear in captivity in Argentina, should stay in Mendoza instead of being transferred to Canada, after an intense heat wave put his health at risk. Unanimously, the specialists decided that Arturo the bear would stay in Mendoza. They determined that because of his age, 23, he could not be submitted to the series [of] analyses needed for the move, and in Canada he would not be received because he does not meet the requirements of the country's protocol. Let it be know that our Government, if the medical board decides it is best, will approve and support the decision to move Arturo the bear. In February, a medical board made up of local, national and foreign veterinarians will evaluate the health of Arturo the bear. This board will determine whether Arturo is in good condition to deal with a move, being that the main goal is to safeguard his health. If the medical board approves it, and Arturo the bear can be moved, two Canadian entities are interested in receiving him. This news brought about a lot of happiness and gratitude towards the governor, and the community was waiting for the medical board to arrive on February 7th to do the evaluation. As one might expect, the news that the bear will stay in Mendoza has generated reactions from those who were waiting for the results. 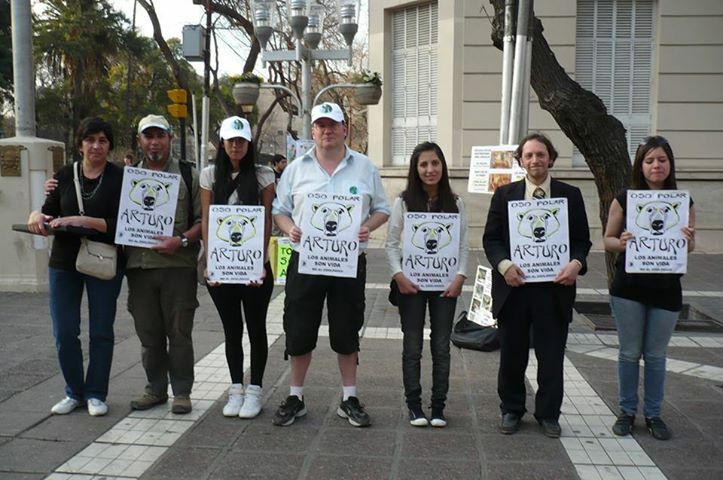 On Twitter, Argentines are commenting on the case under the hashtag #OsoArturo. For their part, the Association of Civil Servants and Lawyers for the Rights of Animals (AFADA) [es] presented a statement [es] announcing the request for a habeas corpus for the polar bear's illegal loss of liberty. We tried everything and we weren't successful … but that doesn't mean that someone more prepared and with more tools can't do it! DON'T ARGUE WITH US, DO IT QUICKLY! ARTURO DOESN'T HAVE TIME! 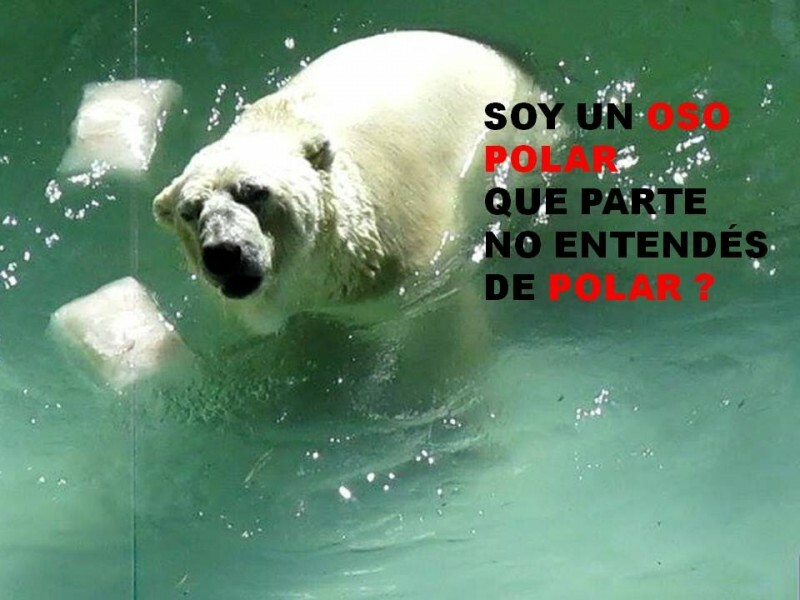 The page OSO POLAR Arturo [es] does the same, and reports [es] that the result is “the worst news” they could have imagined. Meanwhile, Greenpeace Argentina [es] calls for joining the fight [es] to improve the conditions in the enclosure where Arturo is now. After reading this I am still not sure how I can help. This is just so sad…what can be done to help Arturo? they’ve DENIED the petition for habeus corpus!!!! Im furious! Sort it out you murdering scumbags! What can be done? Spread the word for Arturo, be the voice he needs. Sign petitions on his behalf, write emails to your own Embassy and the Argentinian Embassy. It’s utterly ridiculous and cruel to keep this poor polar bear captive in a hot country. How assinine and backward of the Argentinian government to be so callous and ignorant of his needs. He is a POLAR bear. Shame on Argentina, it makes me want to boycott that country, never travel there. I only heard about this today but after googling it seems this is gaining more publicity. I hate animal cruelty but the very sad life of Arturo is haunting me, I have not stopped crying every time I hear of this story. It is difficult to know what to do to help. I have signed petitions online, shared the story on facebook. I am hoping that celebrity animal activists such as Ellen Degeneres will hear of this story and use her celebrity status to help this poor animal. Someone with better resources and money than just us average folk can help even more. I pray that I soon hear that Arturo is living the rest of his days happily in an environment that is more suited to him and for his mental state. Please!! You need specialists from Northern Canada to come and look at the bear. He needs to be properly taken care of and then be moved as soon as possible. Winnipeg has a new polar bear exhibit that is top notch. they are willing to accept him.
. Why are they not helping this animal.